I am back sooner than I expected. I had the opportunity to glue up some white oak and spin the legs on my lathe. 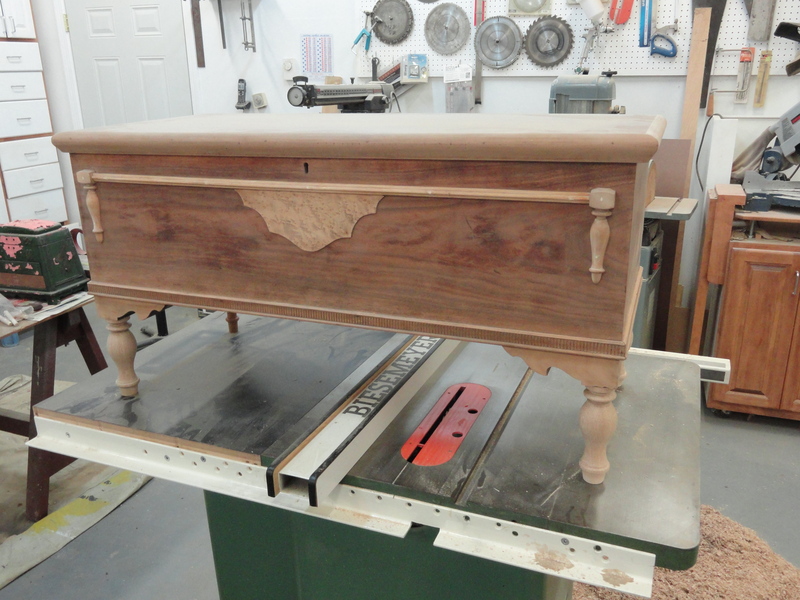 Again the idea is to match the style of the details on the front of the cedar chest. They look pretty good and the height of the cedar chest is now around 19″ off the floor. This is a good height compared to other cedar chests that I have worked on in the past. I need one more day of detail work, final sand and clean my workshop and it will be ready for the finish.